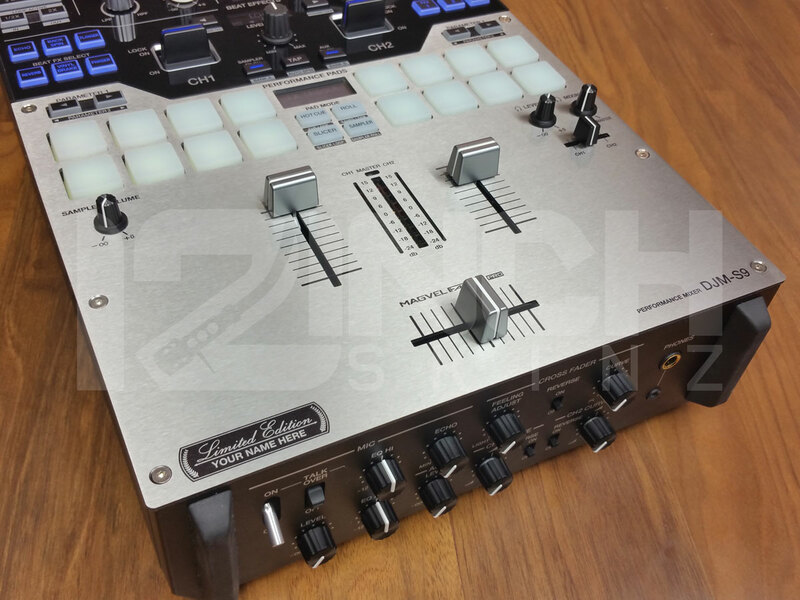 Click the button below to add the Pioneer DJM-S9 Stainless Steel Fader Plate (LIMITED EDITION) to your wish list. Make your own custom LIMITED EDITION S9 and your NAME! 12inchSkinz brand DJM-S9 fader plates have been designed to give a "precision" OEM type fit. They are manufactured from 12 GUAGE STAINLESS STEEL and then coarse polished to give that brushed industrial and audiophile look. Each plate is printed with OEM text and graphics which is far superior and durable comparted to the factory "painted" face plate. Each plate is made from high quality STAINLESS STEEL.